Andrew will make his marathon debut on February 26 at the Tokyo Marathon, one of the six races that constitute the World Marathon Majors. One reason Andrew chose Tokyo for his debut is that there are often several runners aiming for the 2:10-2:12 range that Andrew has targeted for his debut. The race’s Japanese contingent alone includes five men with PRs of 2:10 or 2:11. Andrew returned to top form last fall, capped by a 28:09.35 10,000 at the Hachioji Long Distance meet in Tokyo, Japan, on November 26. 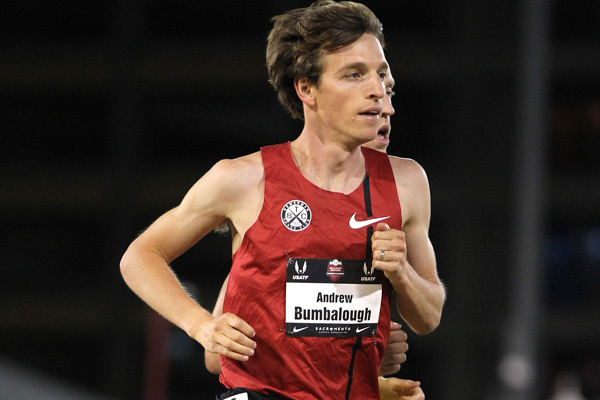 The performance, less than 13 seconds off his personal best for the distance, showed that Andrew had overcome a year and a half of injuries and setbacks that kept him from competing in last summer’s Olympic Trials. To date, Andrew’s longest race is a half marathon. He ran his personal best of 1:02:05 to finish fifth overall and top American at the NYC Half in March 2015. He’s now doing altitude training in Flagstaff, Arizona, to tackle twice the distance.